Skin discoloration, whether it’s from age, rosacea, or sun damage, can make you self-conscious. 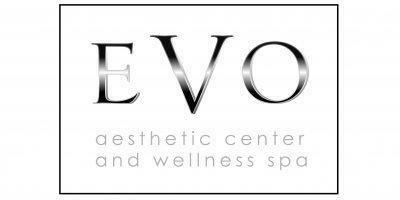 The professional aestheticians at EVO Aesthetic Center and Wellness Spa offer IPL therapy to rejuvenate your skin and improve your complexion, inspiring you to face the world with more confidence. Call the office in Lakeway, Texas or book an appointment online today to find out how IPL can help you. Intense pulsed light (IPL) refers to a cosmetic treatment that uses a filtered flash of bright light to reduce the appearance of discoloration, pigmentation issues, and dilated blood vessels. Sometimes called photorejuvenation or a photofacial, IPL is a noninvasive aesthetic procedure performed with a handheld device placed on your skin. What conditions can be treated with IPL? Depending on the condition being treated, your aesthetician places the precise filter on the IPL device, so that only a particular wavelength of light will pass through. The light energy enters just beneath the skin's surface and targets either the discoloration or the dilated blood vessels. The pigment or the red blood cells in the vessels absorb the energy, and the resulting heat damages them. Your body then naturally eliminates the damaged cells. What are the benefits of IPL? After an IPL treatment, your complexion becomes more even and eventually those brown spots caused by aging or sun damage fade or disappear. Your overall skin tone brightens, and you’ll notice a more youthful appearance. IPL promotes the production of collagen as well, which may contribute to a smoother skin texture. What can you expect from an IPL treatment? Before your IPL treatment, your aesthetician applies a cool gel to the treatment area to ensure your comfort during the procedure. You may feel a warm, stinging sensation as the handheld device passes over your skin emitting the pulsed light, but the procedure shouldn't cause any pain. You will not need any recovery time following treatment. For a few days, your skin may look redder, or your spots may appear darker before lightening. For optimal results, you typically need 3-6 treatments spaced 3-4 weeks apart. If you want to improve the look and texture of your skin, call EVO Aesthetic Center and Wellness Spa today or book an appointment online to see if IPL treatment is right for you.